Apart from what some people tend to believe – and others want you to believe, there are no secrets or shortcuts to becoming a successful entrepreneur. Those who want you to believe that there is a secret and a “quick way to become successful” are those who gain something from it – often times, they are selling programs on how to become successful. 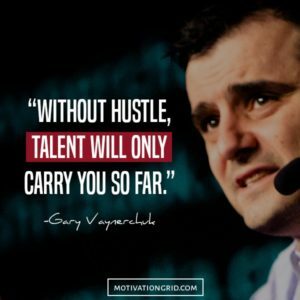 The only secret to becoming a successful entrepreneur is hard work and consistency, but of course, knowing a few things will help you be more efficient with time and achieve more. In this article, I’ll present 8 Habits To Help You Become A Successful Entrepreneur. When working with your own business, there are a million things to keep track of. Therefore, it’s important to prioritize and organize. Entrepreneur Andy Frisella spoke about the importance of the “Powerlist” in one of his podcast. Andy spoke about how many people bit off more than they can chew in the hopes of being more productive, but what only happens when people do that is they become less productive instead. Every day, you should create a list of 5 tasks you need to get done during the day that will help you advance forward. Once you’ve completed a task, mark it as completed. Once you’ve completed all 5 tasks, you’ve won the day! Make sure to write a list of the most important things on the top and the least important things in the bottom and check the tasks once you’ve done them. An important part of prioritizing is organizing. That way, you complete the most urgent tasks first, and lastly, start looking at the least important tasks – at least when it comes to urgency. Tools are known to make your life easier. Really, why else would you use them? Tools will not only save you time, but they’ll also help you stay more organized so you can be smarter about your time. And let’s not forget: Help you create a better outcome. If you aren’t yet using this, you’re missing out. This is a necessary tool for every entrepreneur’s tool box. Google Docs is a cloud based document tool that lets you write documents and share it with other users so you can both edit in real-time. If you are a person who writes a lot (which most entrepreneurs do) Grammarly is for you. It is a free program that corrects grammar errors, misspellings, text structure and much more, and as a result makes your writing so much more professional. If you aren’t using a calendar to keep track of things, you are in a dangerous spot. Having a calendar to stay organized is vital to getting things done, and Google calendar is a great place to start. Google Calendar is a time-management and scheduling calendar service that makes sure you are always on top of things. Startups are risky. It’s important that you are aware of that – and know that things might get a little bumpy and stressful.Write down your challenges with your business to make sure you are aware of them and try to decrease the risks by finding solutions to the risks. By planning a lot both before and after a startup you can do something risky but at the same time feel relatively secure of what you are doing. Identifying risks before you begin, and before they occur is super helpful to know what challenges you may face. Write down the challenges with your business and try to decrease the risks by finding solutions to the risks – before they occur. Knowing about the risks and having solutions to them lets you proceed with things that may be seen as risky, yet still, do it with confidence. I call it safe risking. Bigger risk equals a bigger reward so risks aren’t necessarily a bad thing. Especially not when you are as prepared as you can be. We’ve touched on tools briefly, but there’s an overload of all sorts of tools available depending on your personal business needs. Some entrepreneurs might need programming tools that let them build websites in a more efficient way, and others might need tools for keeping track of their budget. Picking the right set of tools at the right stage of business is extremely important. For example, at the early stage when you are meeting people and asking the right questions, you need to document the conversations and takeaways somewhere so that you can use them in your own business. This brings us the next point: taking help from people who can help you. As an entrepreneur at an early stage, taking help from people who have already gone through the same thing as you and have years of experience is tremendously helpful. Not only can it save you from wasting a lot of time, but it can also make the difference between succeeding or failing. Always look to learn, and always ask questions to people who matter when you have the chance to. When entrepreneurs who are “young” in their entrepreneurial age ask questions to more experienced individuals, a mistake many make is to ask very basic questions. Answers to which can be found on the internet. Make sure you value t he opportunity by asking questions worth asking. This can be anything from personal experience to how they would deal with a problem you are facing. Relevant questions will give you the most precise answer. Write down questions that pop up in your head and save them for a time when you can ask them. The more precise you are, the more precise your answers will be. And… the more valuable the answers will be to you. To mitigate risks by prioritizing, you need to know what needs to be prioritized. Never abandon your main idea unless you realize that it isn’t going to work out. It is okay to tweak and improve your idea because that’s how you reach perfection. However, never abandon your idea completely unless it is completely useless. Otherwise, you’ll just end up hopping from idea to idea, before your idea gets the chance to bloom. Just because you don’t make a million bucks after the first year, you shouldn’t quit. There are plenty of people who have worked with their own businesses for many, many years before they made their first 1000 dollars. These companies are now worth several million dollars. To summarize this point: with your business, you need to think about every single aspect of your idea and stay true to it. You need to stay true to yourself, to your partners and to your business. Jumping from idea to idea just because you aren’t making any results in the time you were hoping for doesn’t mean it’s a bad idea. It might just mean it needs some planning and improving. If you have made it this far, congrats! At this stage, with all the advice you have gotten from the numerous people you’ve met, you should decide on your school of thought. Knowledge within your business area can and will help you gain leverage over your competitors and raise your revenue. A wise man once said “Once you stop learning, you start dying”, and that is completely true in business as well. When you stop learning about how you can improve your business, information that can be valuable for further growth etc., you leave room for your competitors who are hungrier than you to surpass you. The number one rule to success is hard work. No matter how many great business ideas you have, you will get nowhere unless you start. You can study theory all you want, but what will take you forward in life is practicing. What you’ll find is that you’ll learn more by practicing than only studying. And what you’ll also learn is that the combination of studying and practicing is the key to success. 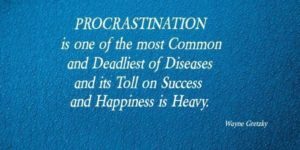 procrastination is one of humans’ most harmful enemy. It is our favorite form of self-sabotage. It is what keeps most people from greatness because procrastination is so tightly incorporated with laziness. Even if you don’t feel like doing something, for progress, working your way through the habit of procrastination is crucial. Because that is exactly what procrastination is. A habit. Once you put work in front of “doing later”, that’s when you’ll reach success. 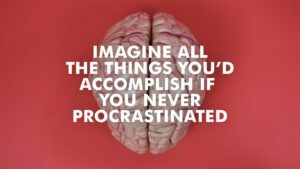 There are so many great quotes on procrastination, and to inspire you to go out and do something after this article, that’s also what I’ll leave you with.